What makes Bella Hotel & Secluk special? Bella Hotel is perfectly located within 5-10 mins easy walk to all historical sites, town centre, bus and train stations and 5 mins drive from Ephesus. Izmir International/Domestic airport, easily accessed within 1 hours drive or by train. Selcuk itself, is a small traditional 365 day working village, based around 60 % agriculture, 40 % tourism. A place to meet local, friendly Turkish people while relaxing in one of the many sidewalk cafes or restaurants, absorb a different way of life carrying on around you. Areas of special interest locally, the historical sites of Ephesus, The House of Virgin Mary, The Grotto of the 7 Sleepers, (with the best Gozleme (crepes/pancakes) in town), Temple of Artemis, Is Abey Mosque, Selcuk Castle, Ephesus Archeological Museum, Sirince, an old Greek village in the hills. 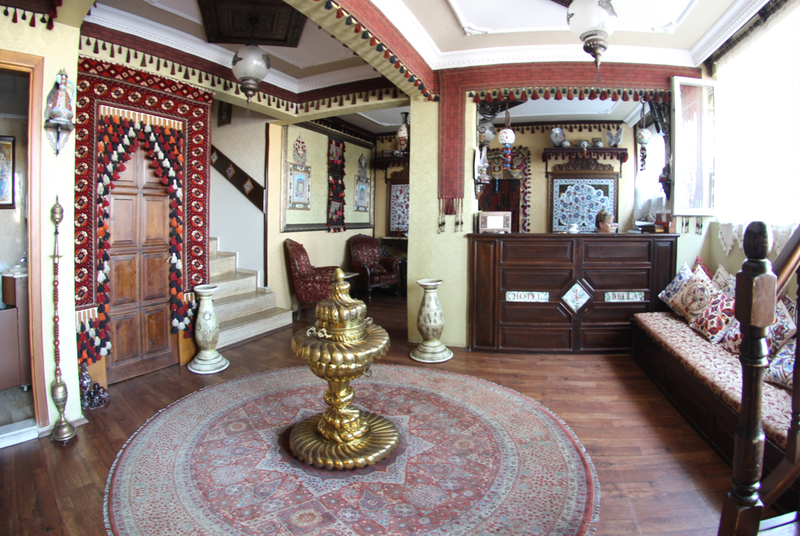 Traditional village Hamam (Turkish Bath). Easy access to a boat trip, enjoying the Turkish coastline. Pamucak or Yoncakoy Beachs only 10-15 minuets away. Ferry to the Greek Island of Samos, easily reached within 20 mins by car, then a 1 hour 15 min ferry ride. A little further afield, Pamukkale, Aphrodesias, Priene, Miletus, Didyma (PMD), Bergama (Pergamon), Bafa Gulu (Bafa Lake) Hieraklia/Kapikeri, Kusadasi. Tire. Teos (Sigacik). Cesme. Alacati. The strategic location of Selcuk has proved to be a popular place to settle down during the centuries. The name ‘Selcuk’ comes from the Turkish tribes who settled in the region by the 12th century. 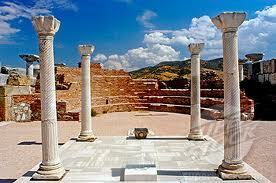 Selcuk town, is closely situated to the ancient site of Ephesus, House of The Virgin Mary and Sirince. Selcuk Open Farmers Market every Saturday, offers an enjoyable shopping experience for visitors. A great variety of fresh fruits, vegtables, cheeses, olives, spices. Textiles for the home, clothing and shoes for the family. Every item needed for the house. Antiques. Farmers tools and more. 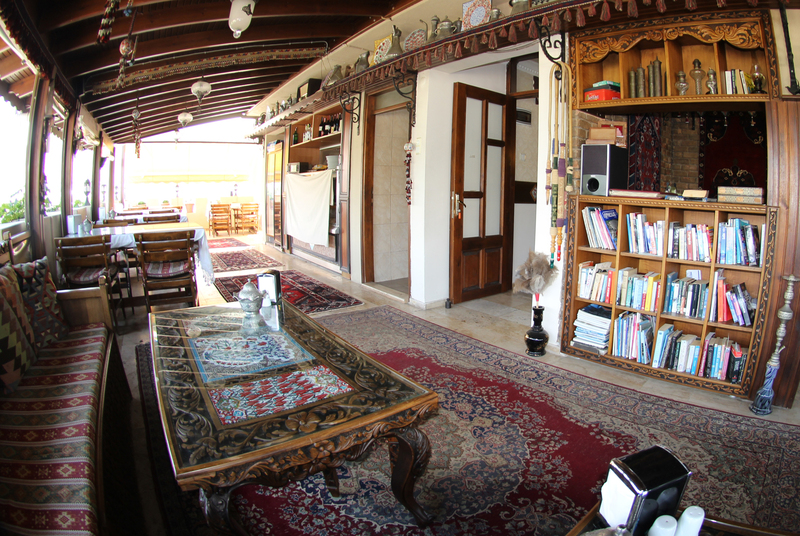 Selcuk is rich with lively festivals scattered throughout the seasons. 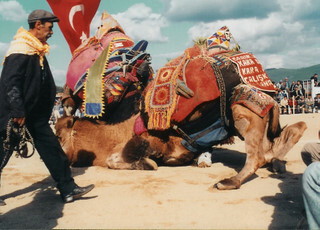 Camel Wrestling Festival, held the 3rd weekend of January, attracts both participants and visitors. The Ephesus International Festival, held May through to July, arts, music, cultural. The Rite ceremonies at the House of Virgin Mary held every year, 15th of August, from 10:00 in the morning. 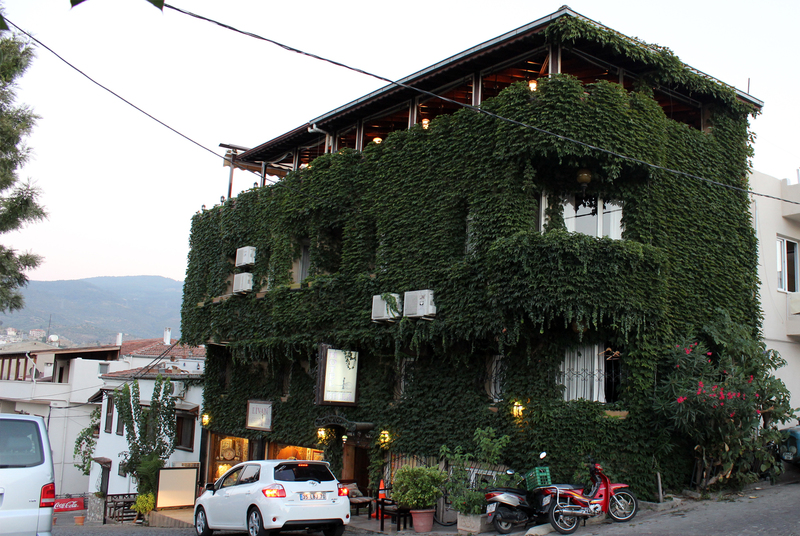 Besides it’s historical richness, Selcuk is surrounded by natural beauty. Beautiful beaches close by. Hills of natural forest or olive groves. Orchards, farms, abundent with fruit and vegetable crops. Food in Selcuk is rich in freshness and flavour. Your taste buds will be delighted! Relaxing at one of many street cafes, restaurants, or garden tea areas, is a popular way to spend the summer evening hours in Selcuk. 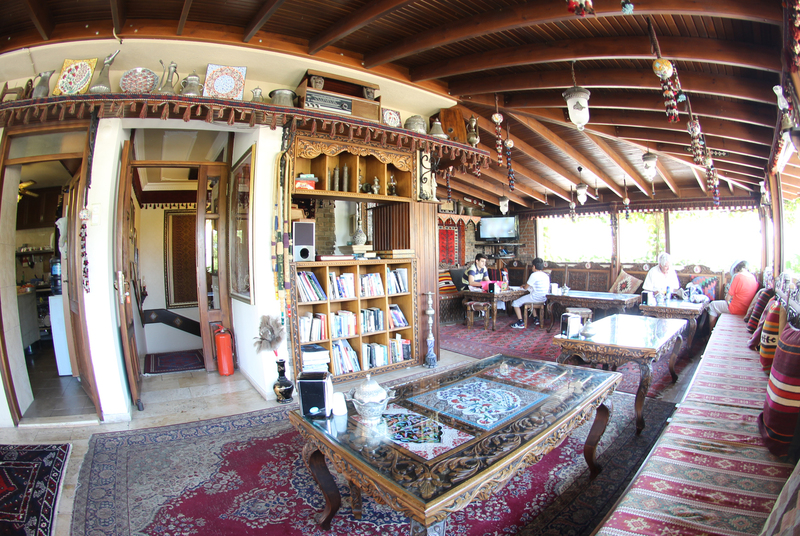 Visitors can sample “chop-shish”, kebaps, classical Turkish cuisine and of course Baklava plus other sweet dishes. 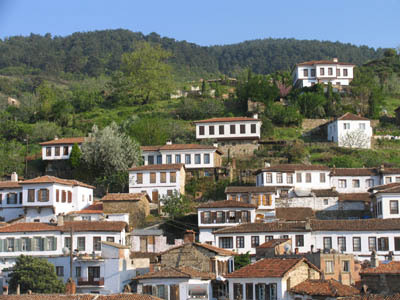 Sirince, an old Greek village, attracts many visitors, both local and foreign, for its atmosphere, architecture and beautfiful views. Located in the hills, 8km east of Selcuk town, there are many charming boutiques and colorful bazaars situated in the picturesque narrow, winding streets of the village. Quality products such as olive oils, hand made soaps, sweet fruit wines, dried herbs, fruits and nuts. Hand made jewllery, hand woven, knitted, embroidered items made by the village woman, are just some of the purchases you can make. Located only 45 mins away, Tire Open Farmers Market every Tuesday, is another place worthy of a visit. Find the ‘’old part’’, watch men hand making nails and tools still using the open furnace, anvil and hammer. Delight in the technique, colours and designs of the felt makers. Watch the making of camel saddles, muzzells and Ottoman Hamam shoes.